In another thread (over at MSF) I quipped about having to “slog through” two articles on Viennese Masses in the most recent issue of SACRED MUSIC. In any case I did my slogging and save for Dr. Jenny’s article, read it cover to cover just yesterday. There is much to ponder, both in content and as regards intent. I was surprised and gratified to again hear Prof. Mahrt publicly mention “circumambulated” Introits as a potential betterment of the Entrance Rite that is commonly practiced. 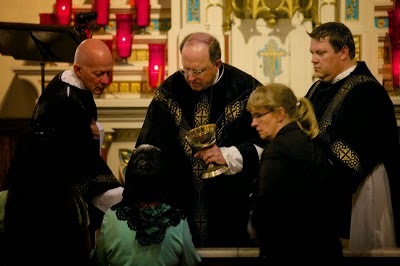 His whole article could be easily shared with skeptical celebrants wary of fussy, “traddie” musicians always yammering on about the Benedictine altar and ad orientem. His recollection of one particular Colloquium Mass (I believe Fr. Keyes was celebrant) that reflected the value of a prominent Altar Crucifix even when the OF is celebrated “versus populum” would likely sway a few hearts of non-stolid celebrants. The article profiling Fr. Louis Boyer was an eye-opener. For non-academics such as myself, the revelations of ritual “sausage making” are of extreme interest. Such detail (not dissimilar to Dobszay’s explication of Bugnini) gives insights by which we now can re-consider “why are we doing this as such?” Boyer’s own internal struggles with the value of the Pauline Missal, on one hand endorsing SC and on the other making this incredible declaration, “What people call liturgy today is little more that this (embalmed cadaver-a reference to the pre-conciliar Low Mass one supposes) same cadaver decomposed.” Yikes! What may be even more frightening is that the “slap-dash” liturgies (of the Dutch?) that were “cobbled together at the last moment by a gang of three) would be now considered “High Church” by comparison to Mass at St.Suburbs. The articles on the Viennese Mass were informative if a tad anachronistic. What both authors could not resist were suppositions of how abuses in the 17th century among others in regions other than just Wien, automatically bring to mind comparisons to presumably all contemporaneous service music in the 21st century and globally so. There is an undeniable amount of truth in linking such denunciation, but what is overlooked is that the processes of “action/reaction” and “problem/solution” that were in process then are also in process now. Thankfully, as CMAA has a clear ethos centered around the primary and secondary genres of “genuine Roman” music, the default to those makes excursions into “what place does the Viennese Mass” have as a standard of beauty for Masses in this era a brief consideration. Msgr. Schuler’s spirit lives on, but not pervasively so. But to advocate for this model of Mass to be resuscitated, well….. The article about the very definition and nature of “art” seemed, to me, very sketchy and of dubious value. I’m just going to leave that discussion open to others. It does have some passing interest by a loose connection to the issue of free speech brought to the fore of the news cycle by the recent tragedy. (One digression as I type is the incredulity of the media gleefully exhibiting the cover art for the emerging issue of “Charlie Hebdo.” Would they have done that three weeks ago? Mahrt scores again with his brief and helpful analysis of Factus est repente by Gallus. Goes to the top of the pile for next rehearsals. I very much appreciate the standards of SACRED MUSIC being maintained at a lofty scholastic level. Perhaps down the road, some enterprising young scholar might apply those rubrics to examining the body of music that is significantly employed not only here in the states, but in their own ways, the inculturated accretions that are routinely and generally excoriated in forums such as this one. There is no doubt that what Benedict predicted about unfettered inculturation would “do” to the “Spirit of the Liturgy” is spot on. However, I’ve yet to see any comprehensive discussion of inculturated musical elements that have been properly vetted and not found wanting. Now that would be interesting reading. Cheers. Nowhere, in this entire text is a prayer of adoration, petition, contrition, or thanksgiving offered. It is merely a horizontal conversation between ourselves which begs the question, why are we telling each other what we’re going to do when the whole goal of our worship should be greater union with God through Jesus Christ. I would ask, in this particular case and song, what precisely is the difference between “we” hearing what disciplines we are called towards during Lent coming from a homily orated by an ordained cleric and the global “we” (of which the cleric is also numbered) singing those same mandates provided us by Jesus Himself and Tradition? Mr. Flaherty lists the absence of words of adoration, petition, contrition and thanksgiving as omissions necessary for a hymn’s efficacy, and thereby deficient towards “union with God.” Honestly, if the lyrics of Manalo’s song aren’t a clarion call towards that very union by exhortation to realize the Lenten disciplines and thereby act in persona Christi, and not as he characterizes it a “conversation among ourselves,” then one of us is seriously missing the connection between worship and missio. By Mr. Flaherty’s deduction, should we then dismiss for use the Anima Christi prayer, despite its adorational nature, because it essentially exhorts the intercession of our Lord to compel the true “me” to abandon egoism? Doesn’t Fr. Manalo’s lyric remind us to abandon ego for the corporate good? Peter Kwasniewski’s setting of the devotional Eucharistic hymn, O SALUTARIS HOSTIA (from “Sacred Choral Works ©2014, Corpus Christi Watershed), serves very well for all levels of SATB choir proficiency and is a compact gem that is appropriate for virtually any Mass. This setting should be of particular interest to smaller and novice SATB Choirs and directors, perhaps in concert with those whose initial forays into four parts also use Richard Rice’s “Simple Choral Gradual ” (CMAA) as pedagogical bridges to more sophisticated and complex pieces. A memorable melody in the soprano voice, along with solid voice leading and intuitively easy interval leaps in the other voices, some of which have brief moments of “spice” in the chordal treatment make the argument for the accessibility of this piece. The first system is a purely diatonic and “sweet” exposition of the melody with a solid counterpoint in the bass. At the end of the second phrase, “pandis ostium (to us below)” Kwasniewski employs ascending parallel thirds in the trebles as if we were through that comforting harmony reaching up to receive, but he adds flavor on the third beat “-sti-“, by contrasting an established V chord cadence with a Vsus7 cluster. Just a taste. In the next phrase the altos and basses have a sort of voice exchange contrapuntal movement that is also sweet tension that resolves deceptively for the moment to the relative minor with an added 7th. This sets up a nice melodic sequence in the soprano voice bridging two text phrases, “Bella premunt hostilia, Da robur, fer auxilium.” Kwasniewski deploys another “flavor” moment when he chooses to use I Major 7 on beat three of m.14 in the tenor voice leading, when he could have opted for vi7 as the relative minor is being established by the stanza cadence with the dominant 7th of vi leading to the da capo. When reaching that same penultimate cadence, his “amen” is a sublime cascade from soprano descending scale motion through the alto into the tenor to the Picardy third major chord of what was the relative minor. This is a lovely piece of purpose, clarity with enough little flavor gems to keep choral interest. Here is an mp3 recording featuring the incredible Matthew Curtis. In most browsers, you should also find a player bar at the top of this web page. Okay, now we’re talking. Dear John,…. A few days ago I wrote about how we ought to give the big publishers some straightforward advice about the songs that aren’t worth reprinting for next year, and also about the songs and composers that deserve to be heard more. Well, here’s what I would and will send to the editor at OCP. Feel free to use this as a template or reconfigure yours in any manner you like. I have been a music director in three parishes and a cathedral since 1977 that have, without exception, utilized OCP resources exclusively as worship aides. Much thanks is due to the founders of the Oregon Truth and Tract Society that eventually evolved into Oregon Catholic Press, and was transformed through the efforts of fine folk like Owen Alstott into the pre-eminent supplier of musical and liturgical worship aides not only for the USA, but in many other English conferences. As you likely aware from the adjustments OCP has made in its flagship products (Music Issue/Breaking Bread/Flor y Canto) over the decades such as the licensing and then ultimate acquisition of the former NALR catalogue, the agreements with other major RCC and other publishers for reprint permission for emergent repertoires of significant value to congregations, change as well as innovation is not to be unexpected in liturgical matters. One of the most noticeable changes promulgated both independently and in concert with the infusion of the third edition of the Roman Missal and the earlier advisory document SING TO THE LORD from the USCCB has been a resurgence of interest in following through with the full spectrum of objectives and legislation clearly articulated in the conciliar documents, namely the CSL, MS and GIRM. These documents themselves owe a large measure of allegiance to the goals of the century old papal motu proprio, Tra le sollecitudini of St. Pope Pius X. As a Director of Music that has relied upon OCP for over thrity five years, what has become clear is that though the interest of an emerging and younger demographic that, as Catholic seekers, are very aware of the great heritage, unique and profound effect of what is generally called “Gregorian Chant” (for our purposes I’ll refer simply to “chant”) upon their worship experience as Roman Rite Catholics. OCP has not been remiss in accomodation of that demographic with specific publications, but as of yet has not evinced its commitment to inclusivity of that demographic in its flagship pew publications. I would suggest that a significant portion of the subscription volumes have not only stagnant and unused repertoire that escapes attention year to year, but also some material whose textual content is clearly at odds with the needs of authentic worship with the rites. 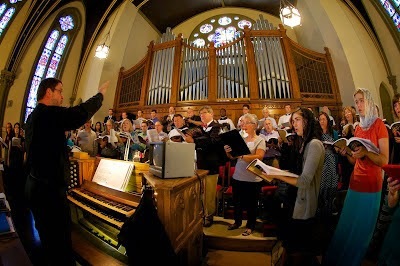 There are likely a substantial number of songs, hymns and ordinaries whose musical content has seen its sunset realistically and take up valuable page space that other much more vital and necessary content could resuscitate OCP’s waning perception as a viable, all inclusive and orthodox service provider. WAITING IN SILENCE/Landry-both lyric and musical content is very pedestrian. The scriptural allusions are better set elsewhere in other songs. ASHES/Conry- poor theology throughout the entire lyric that reflects a more anthrocentric impetus and modus operandi than a penitential expression. 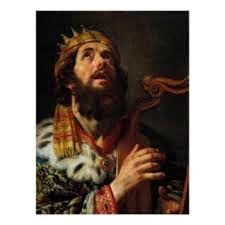 ROLL AWAY THE STONE/Conry-inarticulate allegorical verses, overtly dramatic and combative by comparison to the psalms they paraphrase, and an oblique and obscure message in the imperative refrain text. BREAD, BLESSED AND BROKEN/Lynch- even if for children, the lyric is so puerile that dilutes the Eucharistic theology to young minds. 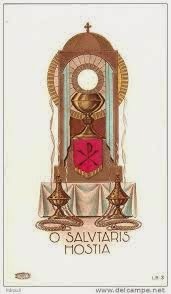 The single most damaging element is the naming of the Eucharistic host as a “symbol” of God’s love. That must be remedied by elimination, not alteration. LOOK BEYOND/Ducote- incomprehensible verses in that there is no coherency between 1 to 2/3, 4 to 5. A stale mess of snapshot references. BREAD OF LIFE/Cooney- again, massive anthrocentrism failing to expiate properly a solid Eucharistic theology. “I, myself, am the bread of life” is an augmentation of John 6 that is condescending to the Faithful, too confusing and self-referential to “us” as Eucharist. SING A NEW CHURCH/Dufner- a well-intentioned but extremely flawed abstraction of ecclesiology. GATHER AND REMEMBER/Alstott-another well-intentioned but inappropriate and didactic homage and paean to an ecumenical council, and some very incendiary assessments of church history and traditions. The Vox Dei component is poorly employed as well. HERE I AM/Booth- another Vox Dei that has some indiscriminate notions, or inarticulate at best, added to the typical syncopation that dissuade participation rather than invites it. THE SPIRIT IS A-MOVIN’/Landry- see immediate song above. ALL I ASK OF YOU/Norbert/Weston- incredibly saccharine content in lyrics. ANTHEM/Conry- of all the Conry pieces dropped (I will lift up my eyes…I will not die…”) in the past, the fact that this jarring, confrontive theology remains is a huge mystery. We are….not amused. I WILL CHOOSE CHRIST/Booth-besides having some motivic elements that are too close to popular hits of the secular past, it can’t be really defended as viable to all cross sections of worshipping communities. ‘TIS A GIFT TO BE SIMPLE/Shaker trad.- a novelty that has no value in a Roman Rite context. LET THERE BE PEACE ON EARTH/Miller&Jackson- tired, dated, a courteous nod and association with “God” that is minimalist. A commercial. PEACE IS FLOWING LIKE A RIVER/Landry- have we checked the pulse of the world lately? Mr. Limb, there are, as you likely know, many more titles that others have taken up as a cause celebre for post-conciliar examples of musical anathema. The “de gustibus” factor will always be in play in such critical discourse, deconstruction and deliberation. But I hope to move you to more attentively call your editors’ discretion towards the best and beautiful, not the easiest or most popular. Please relieve this glut of ineffective and insufficient pieces from further occupancy in publications that are supposed to be responsive and responsible. You have given credence to the chants found in Columba Kelly’s collection and other chant books in your own catalogue. You have composers such as Barbara Bridge and others who’ve had chant-emulative pieces extracted from the hymnals. This is contradictory, in fact, to conciliar philosophy that encourages new compositions to flourish within our own traditions. “God IS Not Dead” and “Chant is NOT dead” either. Over at MSF I’ve reported that our parish quietly heard its first EF (Low) Mass via a funeral request. That was effected by a former vicar who’s now the pastor of a parish in a neighboring town who offers the EF every Thursday evening. I went to join a friend in the loft for the chanted hymns for the second time last evening. I’ll revist how this figures into the article in a while. After returning from Mass and having dinner, we decided to “rent” a movie from UVerse and this week’s releases included “Divergent” and “God is Not Dead.” Having tried to view the first “Hunger Games” installment years ago, I realize I don’t really do dystopia in this era. Once you’ve survived “Blade Runner” and “Twelve Monkeys” you’ve pretty much seen the best of that genre of film making. But the other night’s choice, “God is Not Dead,” is clearly from the “faith-based” production school that is slowly upping its game. Earlier this summer we took in a film about a young Christian teen breaking away from the plans her Contemporary Christian Music star father had laid out for her, and that film was, predictably, so two dimensional it almost qualified for a Flat Earth Society award. So, watching another film of that genre is a bit of a gamble, not so much with budget, but with time. I’m happy to report that “God is Not Dead,” though certainly flawed here and there, is a very worthwhile endeavor. It’s not “The Passion” or “Babette’s Feast” but it had just as much content and interest as did the blockbuster “Noah.” Set in a bucolic elite college, it weaves the stories of a young Christian student at the beginning of semester having to decide to enroll in a philosophy course so as not to get off-track with his accumulation of credits for graduation. He’s warned by a fellow student that this particular course is instructed by a professor somewhere to the right of Emperor Nero and will likely become Christian fodder with the negative grade as the bow on the top. The Christian commits to sticking it out. At the first class the professor (Kevin Sorbo, a former TV “Hercules“) somewhat startles his 80 students by demanding they expedite the process of acquiring the wisdom of Nietzche and Hume et al by writing a simple contract stating “God is dead” and signing it. Anyone unwilling to do so, he warns, will be the object of some ugly academic sausage making. Well, you can figure the rest. The Christian kid cannot and will not betray his convictions, and the professor lays out for him the consequences. Woven into the fabric of the story line are characters like the student’s Christian girl-friend who abandons him because his decision contradicts her “plans” for both of them, a student from China fascinated with his first encounter with the conflict of faith at odds with reason, a Muslim student who struggles with her father’s strict adherence to orthodox Islam, and the professor’s live-in girl friend, who is a repressed Christian resigned to leaving her faith at the front door. Long story short, the student’s exegetical response to the professor’s suppression is compelling stuff, but not stiffly delivered or didactic at all. As the Cafe is about both chant and life, I offer these reflections: 1. We are dismissed from each Mass with the admonition to “serve” God in the interim between that moment and the next we gather for Mass; 2. If there was a movie titled “Chant is Not Dead,” how would that story line best be told? To wrap up this little soliloquy- from reflecting upon both “events” last night it occurs to me that we all could probably risk a lot more in the public square to witness to Christ, His Gospel and Kingship over our lives. That shouldn’t be news to any readers here, nor am I suggesting any deficiencies in doing so among us. But yesterday’s gospel in the EF (from Matthew, I think) mentions that if we’re more concerned about our “rainment,” we need to consider the lilies, not even Solomon in all his glory was so adorned.” And as regards “Chant is Not Dead,” I’m mulling over (I’m an idea guy, and a bit of an anarchist) about how we locally could do things like “chant flash mobs?” Maybe at the next season of the symphony in the theatre during admission. Maybe at the St. Paddy’s Parade. Or like a few of us did at Indy before dinner at Buca de Beppo’s (fabulous) restaurant, chanting the blessing before the meal. Pope Saint John Paul II almost hammered this scripture into the collective catholic conscience in so many addresses- “Be not afraid.” In these troubled times perhaps we should amplify that by capitalizing the “e” as well, BE not afraid. It is an awesome joy to chant our praise and prayer to God. We should share it not only in our parishes but, just maybe, in our daily lives….somehow. Well, someone has to ask this question now and again occasionally. Being long of tooth and a born curmudgeon, I’ll take the blowback. But I don’t expect much to actually come my way in this life, at least. To be brutally frank, I’m done, exhausted with, recoil from even reading or hearing this clumsy phrase, “active participation.” Expiating it in Latin ain’t any better, just sayin’. I’ve never suffered from this malaise personally since crossing the Tiber over four decades ago. I don’t carry a bag of angry cats that, when I walk through the doors of a church, I display as a reason not to take up my responsibility as a worshipper. If in a foreign parish and someone announces a hymn or ordinary setting is to be sung now, I sing it. What else am I supposed to do? I chose to come to church, to worship, in the manner prescribed and fully because I like God, quite a bit actually, and love Him as Christ and enjoy the Spirit’s breath expelled that becomes both text and song in that most sublime of arts. I noticed young Mr. Yanke’s article published today just before this one, I also saw it on Fr. Keye’s FB entry, so this Fr. Gismondi’s interview must be quite something. I’ll get around to it. Or maybe not. Because, I’ve disavowed my own personal culpability for other folks’ bag of cats that keep them from full engagement in the greatest act, or drama that we humans can re-create that provides us with true succor and hope in this despairing world. 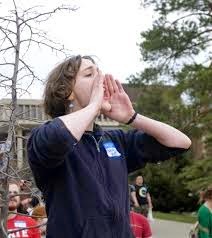 Besides, if a groaner/moaner about the sorry state of “singing in church” want’s to point a bony finger of indignation towards THE responsible party, I direct them toward the guy in the alb and chasuble. If the celebrant upon at the “presider’s” chair cannot or won’t manage to intone the “In Nomine Patris….” or any other orations as he is virtually disciplined to do in Musicam Sacram, well, I’d be surprised if the entrance hymn sung prior to that moment was lustily taken up by the congregation. (And have all of us who frequent here also had the recurrent thought “Thank God for the choir, bless their hearts” for taking up that slack, such as they are!”?) Because the equation of that mandated wisdom from 1967 (!) is pure simplicity in action, a physics truism even- for every action there is an equal and opposite reaction! If Father, OTOH, chooses to lead and no matter how humbly or magnificently he chants his proper portions, and the response he receives is the chirping of crickets, Father should grab the processional cross and clear the temple of the rabble who are there for “other” purposes, lock the doors (keeping a server or two) and sing a private Mass honorably. And, at long last, to the point of the title of this little rant, John I, 1. “In the beginning there was the WORD…..” The homily remains almost a sacrosanct vestigial remnant of a time when people actually had something to say to one another. Whether it was in antiquity with Cicero or St. Paul, St. Francis or Martin Luther, Jonathan Edwards or John Adams, or in our lifetimes with names like Churchill, King Jr., Sheen, Ghandi, and their ilk, the act of one inspired soul’s words crafted with conviction and purpose to remind large gatherings of other souls’ to listen, to savor, to digest and to transform themselves through those noble thoughts bravely spoken seems to have all but disappeared from our ambos and pulpits. From what I know of the historical Jesus, he wasn’t a song and dance sort of guy. He didn’t attract crowds of listeners like Cagney in a top hat crooning “I’m a Yankee Doodle Dandy.” In the current cycle of Gospel readings we are reminded again and again of the unimaginable power of the story, the parable, the spoken word from a sage to the masses. So, if we musicians must fret about something as it seems we must always, let us worry about how we can gently and firmly remind our clerical brothers that we choose our repertoire for a reason, we rehearse it thoroughly for a reason, we literally pray that it be taken up or listened to with intent that is pure and unabated by banality or poor improvisation and padding. Just as every Sanctus sung is literally prefaced with the anamnesis that we are conjoined with choirs of angels IN THAT VERY MOMENT, every homilist ought to re-approach the ambo after the gospel reading as if he is to give the Sermon on the Mount. Music Minister (Part Two) To live, breathe and have one’s being in…. This is a continuation of reflections upon a reprinted article from 1972 currently in the Summer 2014 Issue of SACRED MUSIC, authored originally by Fr. Ralph S. March S.O.Cist. I’m only remarking upon catch-phrase quotes excerpted in the current issue. Part the third. The music minister must live, breathe, dream sacred music. I believe that if that sentence was mounted on a large billboard outside of both the CMAA Colloquium and the NPM National Convention, you’d have absolute positive consensus were you to take a poll about it. But, as in all things, there are layers and depths of meaning and implications of how that imperative ought to be made manifest. Giving the benefit of the doubt to all regarding dreaming of sacred music, could it ever be possible for David Haas and Peter Kwasniewski, or Mary Ann Carr Wilson and Janét Sullivan Whitaker to share the same dream called “sacred music?” All of us, amateur and professional alike, must be publicly immersed in our vocation as a minister of music, but to whom or what are we held accountable for all that entails, particularly as articulated by Fr. March above? Though essentially I wasn’t part of a church-going family, and only mildly a “seeker” during my high school years (uh, I was 15 in ’67, The Summer of Love in Oakland across from San Francisco) in 1970 as a college frosh music major I discovered the beautiful scaffolding (then I called it the “skeleton”) of the liturgy, the rituals, the mystery and yes, the joy that worship can provide the soul. And from then on, basically, my whole life re-oriented around loving, learning about, discovering and evolving in my faith life alive in the traditions, rites and catechisms of the Church Christ Himself founded. Now four decades later I could paraphrase our British friend Paul Inwood, “Sacred music, as well as Our Lord, is indeed the center of my life.” However, I have often come to the two paths in the woods of my musical journey, and by comparing and contrasting the exemplars of Mr. Inwood versus Mr. Salamunovich, have had to face the reality that though both roads may prove worthy, one of them is the better path. Here it is, Monday after Colloquium 2014, and in the mail are two issues of SACRED MUSIC, Spring and Summer of this same year. Thank you, Bill Stoops, for having such quick access to your status reports at Indianapolis! All I can manage right now is a perusal of content, particular of V.141.2 which celebrates CMAA’s 50th anniversary of its amalgam merge of the St. Caeilia and St. Gregory Societies in 1964. There is much wheat to harvest in this volume and its predecessor. As I was skimming the Summer edition I noticed a title that reminded me of a former CMAA attendee’s great essay about being a so-called “Pastoral Musician,” that being the article by Rev. Ralph S. March, S.O. Cist, “Are You a True Minister of Music?” That is a captivating, challenging and still relevant question as there is yet and still great, likely more division between folks who left Indy and week ago and those situated in St. Lousis this week. It occured to me that Dr. Jenny or someone else responsibly excerpted certain quotations from Fr’s discourse of 1972 and just by entertaining those quotes one could respond via an article’s length here at the Cafe. Part the first: A music minister should be familiar with the most important musical styles of any given century. That maxim still and ever shall stand. However, who could have seen in ’64 or in ’72 the curve of instability to stability that 50 years of contemporaneous composition, exposition and distribution of an unheard-of concept of sacred “song” by Lucien Deiss, the SLJ’s/Dameans/St. Thomas More, the Minnesotans, the Californians and so forth could become bedrock in Anglophile parishes and others back then. (I leave out the seminal folkies purposefully.) Surely not Westendorf nor Lindusky who were there in BoysTown in ’64. How does one deal with the compositions of not just these but those of Howard Hughes, Thomas Savoy, Leo Nestor, Jeffrey Honore, and then multi-faceted, schooled composers such as Janet Sullivan Whitaker, myself, Jan Michael Joncas, Richard Rice, Jeffrey Quick, Francis Koerber and many, many others whose genres aren’t so easily categorized? The simple response is that Fr. March’s advice still stands, but the demands are much more upon us. Some will argue that the Conciliar documents of the Second Council are unequivocally clear: Primacy of place to chanted forms, and their inheritors generically designated polyphony (a term of actually little pragmatic significance.) Yes, surely that seems clear. But under the lenses of the legislative options provided by those same documents, who can stand and call themself the final arbiter of a music’s suitability? (That’s a rhetorical question, no need to actually engage it, really.) But to purposefully remain ignorant of both specific genres and pieces in the last 50 years actually doesn’t pass Fr. March’s muster. The catch qualifier is the adjective “most important” music styles of all centuries. I’ve always maintained that cannot be fulfilled by wholesale dismissal based upon any prejudicial criteria. Part the second The music minister must be a student, an educator, and a diplomat. Uh, yup. Student? Check! Educator? Check! Diplomat? Huh…….? We are not just diplomats representing philosophies and idealogies of CMAA or Mother Church at the level of parish practice. We a diplomats first and foremost of Christ Jesus, who trumps any objectivification of the rule of worship and the rule of belief. 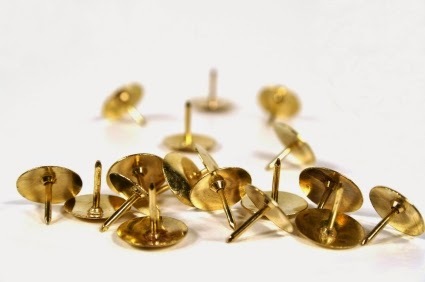 When the Pharisees tried to pigeon-hole Him in order to discredit Him according to the Decalogue, Christ veni, vidi and vici’d their folly forever. Diplomats don’t deal (despite the political machinations of our current era or federal government) with policies, but with people. To these 63 year old astigmatized, far-sighted and strabymus (crossed) eyes this is our largest failure even with Fr. March’s criteria back in ’72. Unfortunately there’s loads of evidence in cyberspace CMAA and even at Colloquia that many of us think “we da Bomb.” We move from place to place like Yul Brynner’s character in the “Magnificent Seven” taking on noble causes for ignoble recompense thinking that we’re not just saving the plebes and peasants from their gross, feudal and outlaw occupying fascist lords, but we’re going to change their whole attitude about “musicam sacram” in less than a fortnight. Not. Go to the MSForum, three to six RotR gigs are posted there at any given time. Why? Because we have to love and forgive our people and their pastors. We have to speak to them honestly, in both truth and love. But in my experience, many of us in CMAA equivocate truth with love. No, going to hell is not an automatic consequence of singing “On Eagles’ Wings.” Coaxing their sensibilities towards “Qui habitat” via whatever sensory input (remember the second of March’s admonitions, “teacher,” requires skills that can influence the receptors’ many modes of intellectual and spiritual acquisition. I’m a bit tired now….will resume this tomorrow. I have a certain respect for the cultural assignation “indie.” Basically it’s a post-boomer rhetorical add-on to both the lexicon and parlance for artistic endeavors and projects un-beholden to “the man” or “the machine.” In filmdom and popular music is where one finds its most common usage. Directors like Gus Van Zant. Werner Herzog, John Sayles (to name but a few) and musicians such as Jewel, Kurt Cobain and Ani DiFranco distinguished their total independence from the artistic status quo and the requisite funding and handling that attends their respective industries. However, for the hundreds and even thousands of secular (and, who knows, sacred) “indie” artists who achieved acclaim on their own, by their own rules and inertia, most of them ended up integrating into the interdependence of the “machine” who recognized, funded and marketed their unique visions and voices so as to charm and enchant larger audiences to the spices and perspectives of their particular artistry to massive scales. It’s how this world works. It is to this progression from independence (not liberty) to interdependence that occupies my heart this day after finally getting home from “Indy.” That and “jet lag” (four hour flight, hour to car from LAX, three hours to home and hugs, including total facial from senior French bulldog!) I was eight years ago almost disdainful of the attribution of “Seven Days of Musical Heaven” to the CMAA Colloquium. Seven years ago I decided to check out for myself this clever shill and then discovered true intra-dependence among the faculty and 100 attendees at the 2007 DC colloquium. Coming from a perspective informed both by independence (at the job level of teaching and parish) and corporate mindsets cultivated by NPM and ACDA, I had never before been swept away by the intra-dependence of absolute consensus about the “task at hand.” That, of course, was and remains the fit, right, universal, beautiful and (to the best of all abilities) sacred worship of our Creator by a manner of His creation: the art of music. (Picking up essay Wednesday morning.) The first thing that comes to mind about the willingness and discipline involved in moving from independence to interdependence results from listening to one recording at Carl Dierschow’s website, the ubiquitous Mozart AVE VERUM CORPUS sung at our first Mass by all 250 of us at Indy under Horst. I personally was transfixed and transformed in those moments, not using the score at all. It was glorious and truly enthused. And you can hear that, feel that when listening to the mp3! Well, think about this: Carl wasn’t there, yet he gifts us by taking upon the compiling of our archives. (A bunch of other folks I love and respect weren’t physically there, but they can be because of Carl.) And no one then or at any other moment of the week engaged in what other groups call “showcases” at their confabs. Another moment flashed through my synapses- a particular moment when Dr. Buchholz asked assistance from his brilliant wife for unifying an incipit passage in the Requiem among the sopranos, addressing her as “Dr. Nam.” It was both so appropriate and so loving a gesture. And this was my first year with any meaningful encounters with Dr. Nam. She had heard of my bronchitis and made a point of checking upon me and asking me if I was aggressively treating the infection. Then later she noticed me leaving the hotel for St. John’s Church and shouted after me, offering to drive me in her car. Oh, and did I mention the Requiem? Oh, well, it was literally “musical heaven,” an occasion of deep faith and witness, but also of ineffable joy. The profound, unfathomable presence of the Catafalque, Fr. Pasley’s explication of it prior to Mass, and then his amazing, word perfect mini-homily about the cross-relation (pun intended) between what the Catafalque represents and the eschatology of the light emerging the jeweled windows of St. John’s providing us sure hope, even knowledge that “we are not alone.” And because of the Requiem (and particular the Dies irae, for myself) we are not independent of each other and our Creator, Savior and Succor. There are not enough superlatives to laud Janet Gorbitz, Mary Jane Ballou and sweet Mary “Mezzo” for their efforts they inherited early this year in order that colloquium could even get off the ground. And it soared! Enough thanks I cannot express privately or publicly to Richard Chonak for untold hours and years he’s personally provided me life and career-edifying help. Those who’ve known me and yet remained my friends (!) over these seven years of colloquia and fori know I’m a puddle-of-tears softie emo (in the parlance of our time) but little things such as claiming dearest Wendi and her mom as my sisters, the brave, undaunted Jessica as my adopted CMAA daughter, the new tangible friendship of my incredibly hospitable roomie who essentially made my visit to Indy possible, which I caricatured as the new CMAA “Felix and Oscar Odd Couple,” and upon whom I saved my requisite faux pas for the very end, when I spilled red wine upon his immaculate white shirt simply by standing up when Dr. Labounsky was leaving the table at the final brunch! David, you are delight! May all good graces come your way. I think of the amazing Aristotle! Our Aristotle, Esquerra, and his loving bride, flashing that incandescent, Cheshire Cat smile at every encounter, but yet so humble of heart after all the very real musical contributions and references for us for decades. And we are still interdependent upon those of us whom we’ve met at CMAA events for so many years. Kathy from Reno who’s quarter century of faithful, (gotta be sacrificial) attendance at colloquia is a sure foundation upon which all these beautiful young people can stand and sing our prayers. And the clergy? I’m speechless in anticipation of the renewal that some of our boomers, genX’ers and millennial priests and seminarians will assist our Lord in reviving the living traditions of our ritual faith expressions. Can it be that the ever eloquent and intellectually gifted Fr. Smith was the same person who quietly giggled when I uttered a sibilant a split second too early on Saturday and ducked when Horst’s head turned faster than the Terminator’s knowing that face would have red eyes of death by lazar beam? Yup, same guy. You will sing, and you will like it! Really. My bronchial infection worsened a bit Saturday, but I was bound and determined to sing the Victoria Requiem. I thank our most merciful Lord for His grace that fulfilled that desire. Allow me a small digression. One of our celebrants this week was singing in Horst’s choir with us. I. had noticed a very beautiful cobalt/royal blue shoulder sling bag and casually remarked to him how enchanting it looked. He replied, “It’s yours.” Little did he know, but yesterday was my Geburtstag! I actually got a B-day present at Colloquium! And this wonderful priest was my confessor in addition to delivering one of the most stirring homilies I’ve ever heard on Visitation Day. But this is about Horst Buchholz and his amazing charisms, his love for our Church, and his obvious devotion to reverencing our Lord through the achievement of sheer beauty. I remember my first colloquium (I think 2007, at CUA/Shrine) when attendance was still around 100 or so folks. There were only two choirs- the everybody choir and a select chamber choir under Scott Turkington. Horst had us all. God bless them, the lovely ladies of the soprano section had trouble all week with various issues throughout various pieces. I think the Elgar “Ave Verum Corpus” was particular nettlesome for them. But through the week of rehearsals I observed Horst’s methodical but mirth-filled prodding of them to match this, blend that, and so forth. And by Sunday Mass the ladies sounded quite solid and sure. Horst Buchholz. I’ve sung intermittently with him on a few motets over these years. But this is the first year that I wanted to be his chorister for the Victoria Requiem. His direction of the Vierne Mass in SLC 2012 was the choral highlight of that wonderful colloquium for me. And this year, a substantial number of very talented singers thought likewise about Horst and we had us quite a quire. Despite his obvious impish jokes and mannerisms (from his huge Teutonic aura) he is one serious and demanding Kapellmeister! He knows exactly what he wants down to the turn of a phoneme to the arch of an entire Mass movement, and he doesn’t settle for the choir he hears in his mind, he molds the choir facing him into that ideal ensemble. Relentlessly. But never ruthlessly. “The net result in this case was a masterful performance teased out of group of singers of various levels who’ve never sung as an ensemble prior to this week.” was my friend David Saunder’s very apt observation. And how appropriate is it that the joy of the architecture of beauty described in Father Pasley’s homily regarding the sure knowledge we have of the light from outside the jeweled windows of the pro-cathedral was also reflected on the faces of Horst’s choristers via the medium of a Requiem.